Odolný a pevný kufor na prenos CPC ďalekohľadov s priemerom 280 mm, napr. Celestron CPC 925 GPS, CPC Deluxe 925 HD, CPC 1100 GPS, CPC Deluxe 1100 HD, NexStar 9¼ GPS, NexStar 11 GPS. K dispozícii sú na vyžiadanie aj ďalšie varianty pre rôzne priemery optiky. The case includes four latches (two lockable) for the removable cover (no hinge), three steel-reinforced handles and die-cut foam lining with compartments for telescope, eyepieces and accessories. 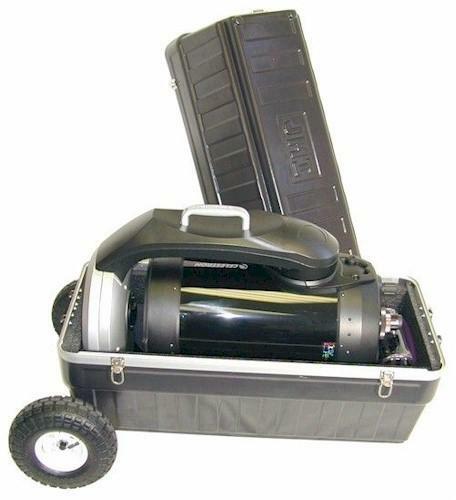 It can be carried (requires two people) or pulled using the attached 10" pneumatic wheels. Both the finder scope and hand unit must be detached and inserted into protective pouches (included) and placed inside the case. 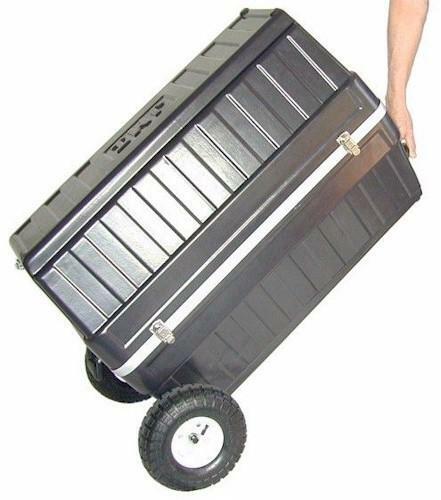 Outside dimensions of the case are approximately 42" x 25" x 26-3/4" (with wheels installed) and its empty weight is approximately 36.0 lbs. The shipping box is approximately 26-1/4" x 19-3/8" x 38-3/4" (FedEx Ground dimensional weight is 117 lbs) and the shipping weight is approximately 39.6 lbs. All values are subject to slight changes.